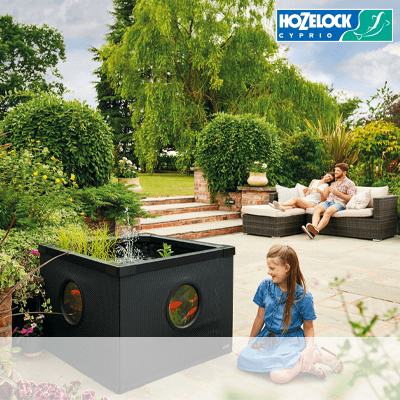 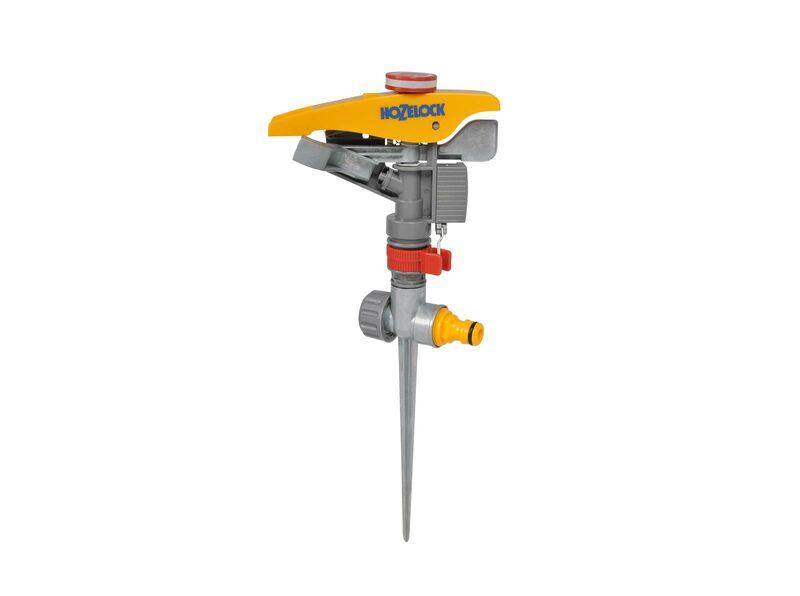 The Pulsating Sprinkler has been specially designed to water large areas up to 450m². 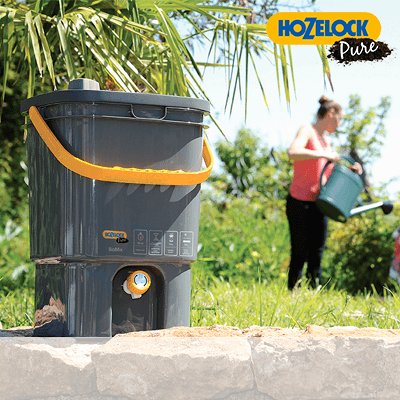 Even coverage – Specially designed to give 100% even water coverage regardless of the water pressure (1-10 bar). 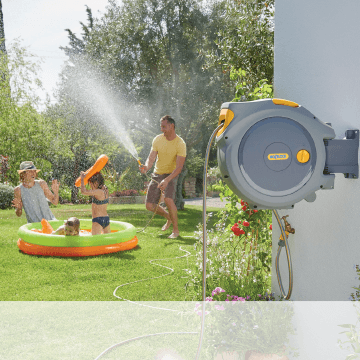 Easily Adjustable – The sprinkler can water a full circle or a part of a circle – adjustment is easy simply slide the red setting rings. 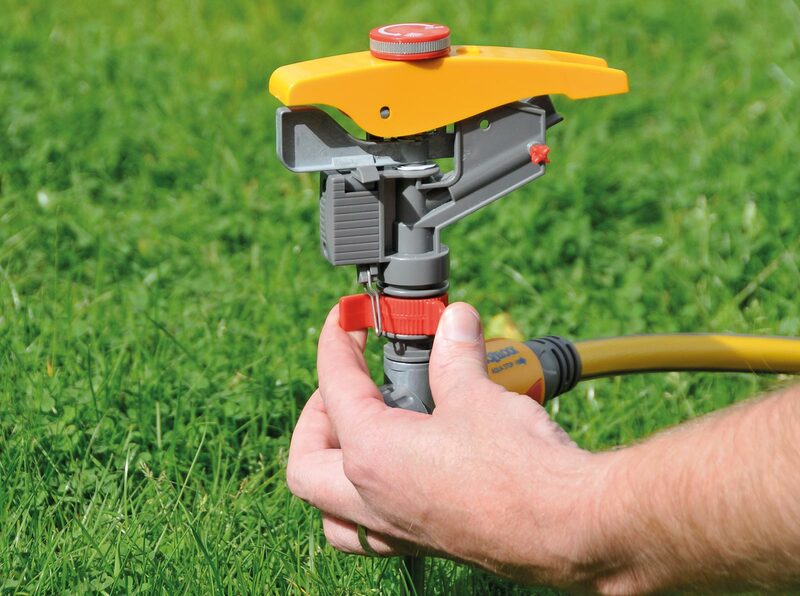 1 solid jet stream that can be manipulated into a wide fan spray and gives a max area coverage of approx 450m². 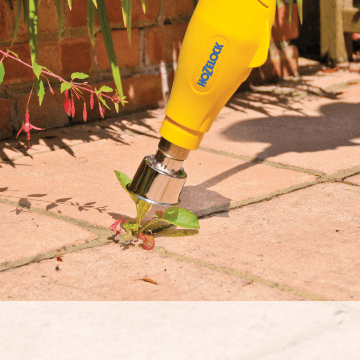 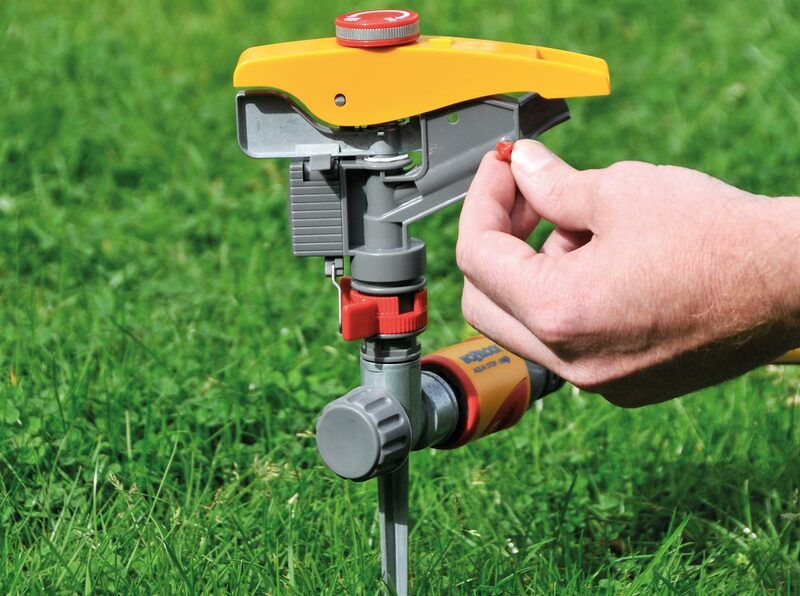 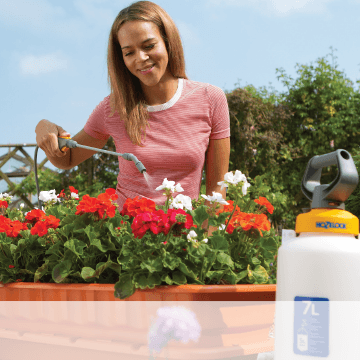 Perfect for lawns and established plants – The sprinkler is mounted on a solid metal spike which gives stability when pushed into a lawn or a border.They feature an ultra reliable, water-powered motor that operates at all pressures.